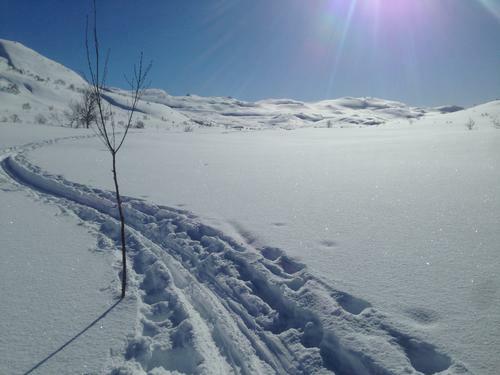 Winter skiing tracks are are staked, with temporary tree branches or poles stuck in the snow or with permanent rods driven into the ground, often marked with red bands. 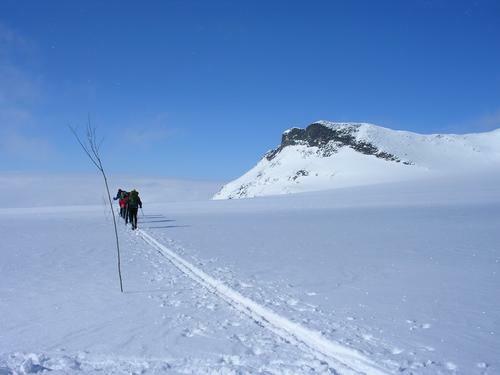 As branches historically were the first markings used, these on-snow routes are called kvisteruter, literally "branch-marked routes" in Norwegian. Winter waymarking is done for the principal skiing season at Easter, although some routes are waymarked as early as February. 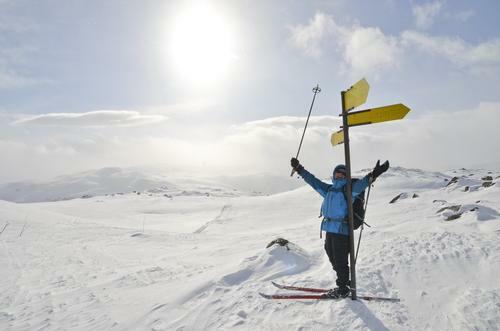 In all, each year, some 6,500 km of skiing tracks are waymarked. In the forests around Oslo, winter on-snow routes are marked with red painted bands on trees and poles, the principal difference from blue painted bands the rest of the year being that red-marked routes will cross lakes frozen in winter, while blue-marked routes will go around the same lakes. Some mountain town ski resorts have their own marking systems for their cross-country trail networks, such as numbers keyed to routes shown on the resort map.